In search of a new permanent home, the Lookingglass Theatre Company was offered the chance to transform a former steam generation plant within the Chicago Avenue Pumping Station into a multi-venue theatre. 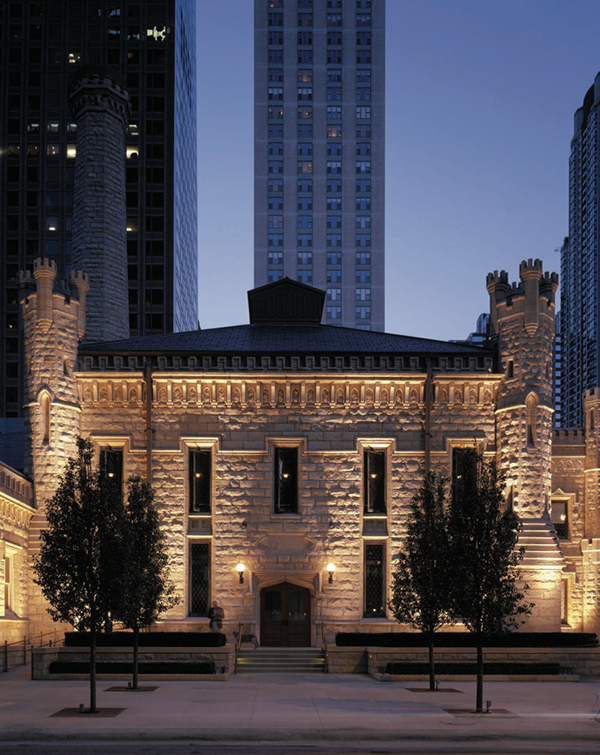 As a part of the Chicago Water Tower complex, the Pumping Station is a historic structure - one of the few to survive the 1871 Chicago Fire - but remains an active part of the municipal water supply, pumping water to the near north side of the city. Just five feet on the other side of the wall from the water works is the new 270-seat theatre for Lookingglass, a company that has earned numerous accolades (including the 2011 Regional Tony Award) for their physically demanding and highly engaging productions. Within the sometimes-raucous productions are moments of subtlety and dramatic silence, seemingly at odds with the industrial building around them. To achieve the quiet space - nearly as quiet as many recording studios or symphony halls - a complete room-within-a-room was constructed to shield the drama from the plumbing. 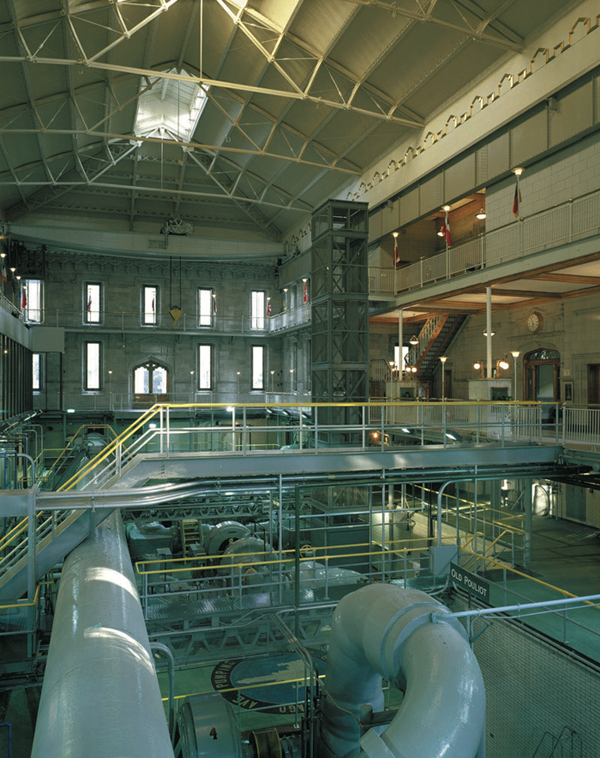 New concrete floors were poured over rubber isolation pads, a massive new ceiling was constructed suspended on spring isolation hangers, and walls were built spanning from the isolated floor to the isolated ceiling without ever connecting rigidly to the existing pumping station walls. Yet even with a well-conceived design, there were myriad challenges encountered constructing a modern playhouse within a 130-year-old historically protected structure, including coring through a massive chimney to allow people (and air conditioning ducts!) to enter the theatre. The design of the theatre was ultimately awarded with one of the United States Institute for Theater Technology's Architectural Merit Awards in 2005, with the award given to the architecture firm Morris Architects Planners, theatre consultants Schuler Shook, and acoustics consultants TALASKE|Sound Thinking (the primary author of this paper participated in the design while with TALASKE). 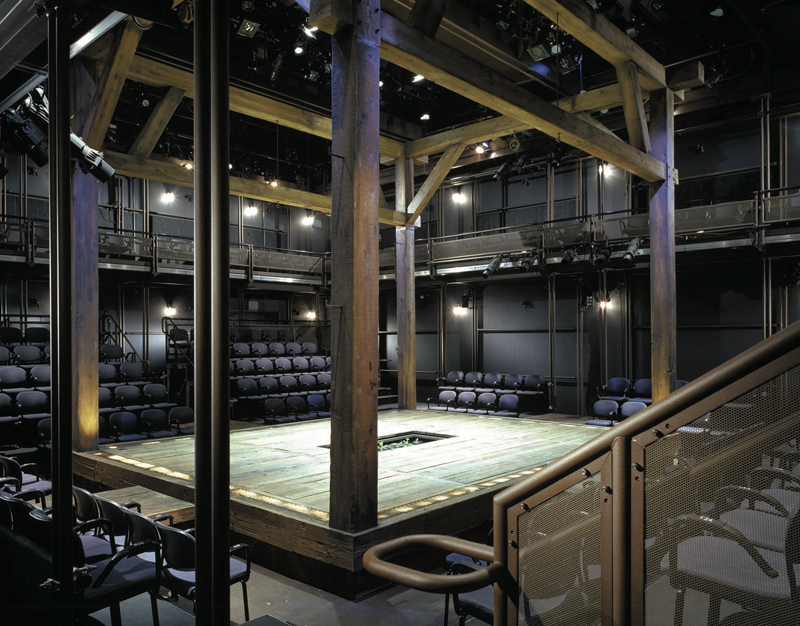 This year marks a decade of successful operation of the Lookingglass Theatre facility, and the room-within-a-room construction continues to perform as it did on day one. In addition to a discussion of the design of the acoustic isolation of the theatre, new measurements of noise levels in the pumping station and the theatre were conducted to confirm the continued success of the space.